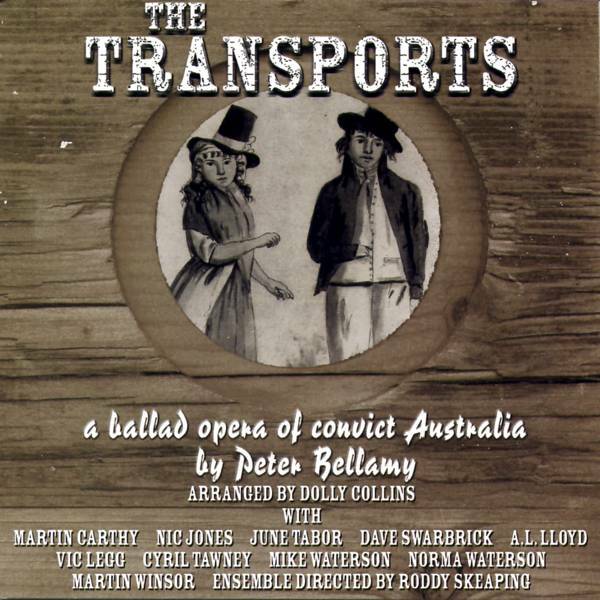 Arranged by Dolly Collins, ensemble directed by Rod Skeaping. 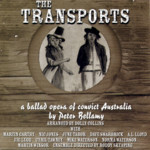 This unique project relates the true story of Henry Cabell and Susannah Holmes, convicts transported to Australia on the “First Fleet” in 1787 and the trials and tribulations which culminated in that historic voyage. 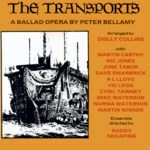 The tale is presented as a cycle of new compositions in the idiom of traditional English folk song, linked by narrative passages in the style and to the melodies of broadsheet ballads of the time. 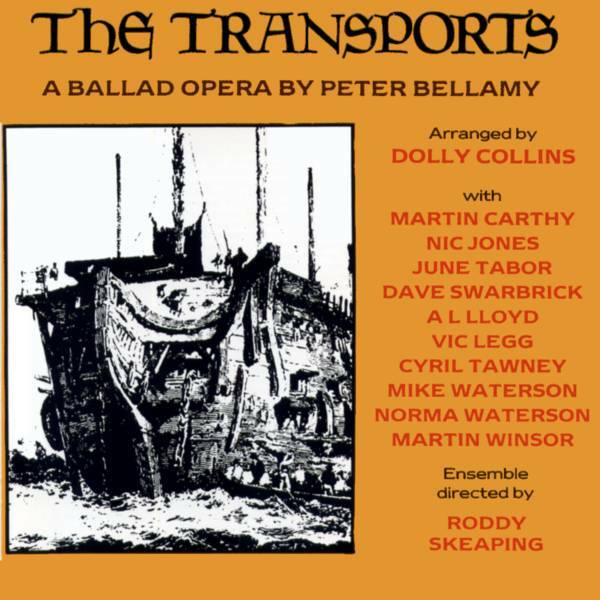 The orchestral passages and arrangements for the accompanied songs have been conveived in such a way as to underline the overall feeling of “period” and the instruments used are those likely to have been heard in the church bands or “quires” of East Anglian villages in those days. The singers have been chosen from the front rank of the English folk song revival, and the melodies composed to suit their individual style. 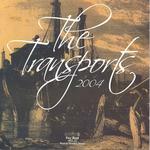 A detailed account of the historical background to the story by Eric Fowler (the man who originally researched it) is included in the booklet. 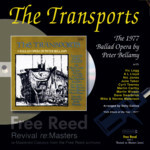 This recording was remixed and reissued in 2004 as part of Free Reed's 2 CD 25th year Commemorative Issue, see below, and in 2008 as part of the 18 CD Revival re:Masters series. 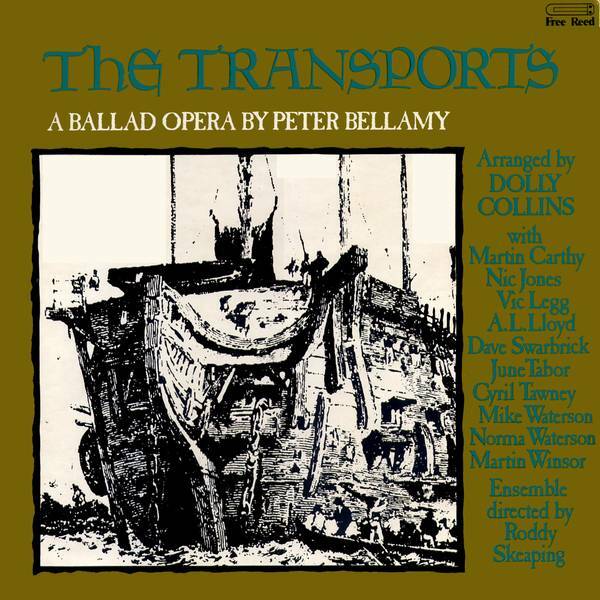 This was a memorable performance of Peter Bellamy's ballad opera, The Transports , recorded by Dave Howard at Whitby Folk Festival, August 1992. 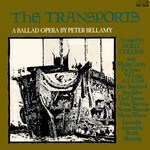 In 2004, Free Reed published a 25th year Commemorative Issue of Peter Bellamy's ballad opera The Transports . This consists of 2 CDs, first a re-mastered version of the original 1977 recording—see above for cast and track list—and a second CD with newly recorded tracks by lots of well known musicians. 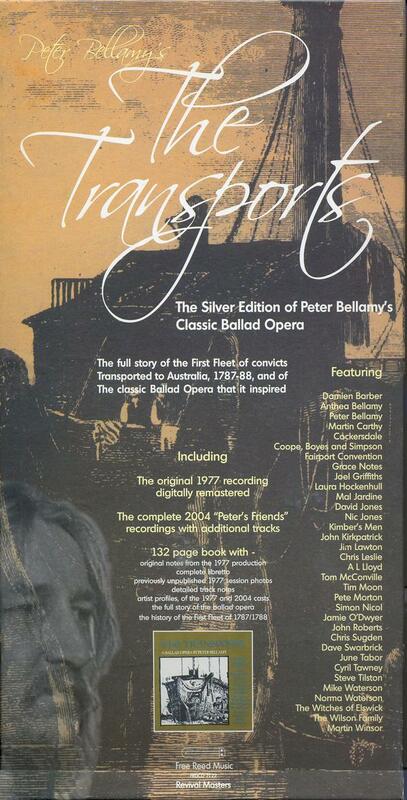 There is no one cast to a certain role as in the original recording but every song is sung by different singers. 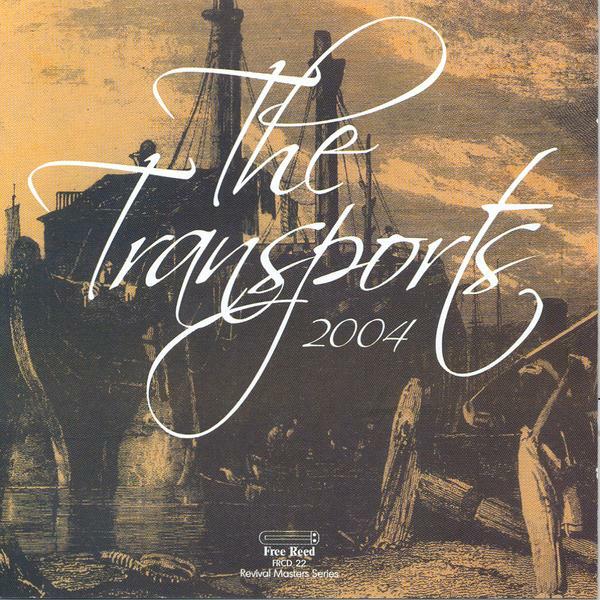 Even if I like most of the individial interpretations, I miss the charm and consistency of the original recording. 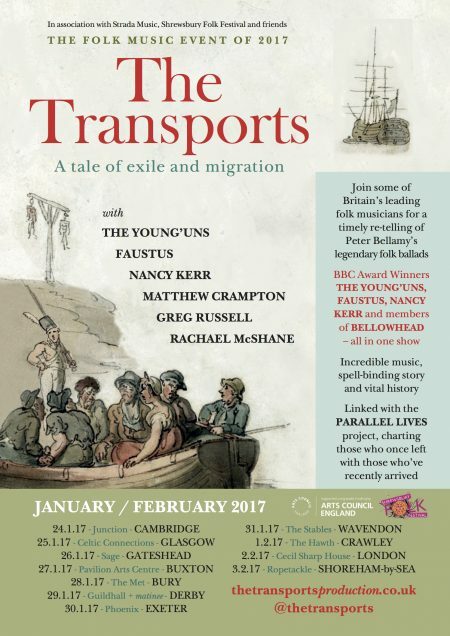 Join some of Britain’s leading folk musicians for a timely re-telling of Peter Bellamy’s legendary folk ballads The Transports in January and February 2017, starring BBC Folk Award Winners The Young’uns, Faustus, Nancy Kerr and members of Bellowhead together on stage. 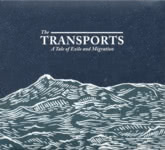 At a time when migration makes headlines daily, this tale of past migration shows how little has changed in the global movement of desperate people. 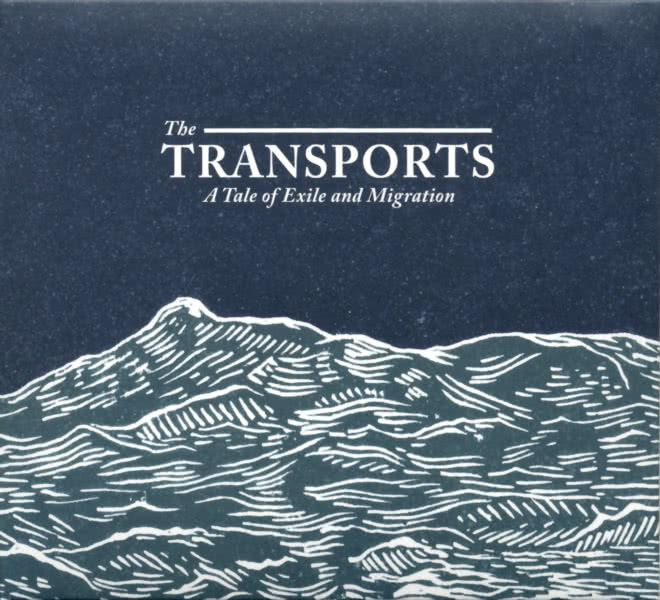 The accompanying project Parallel Lives charts—town by town—those who once left Britain with those who have recently arrived.